Last year was an unforgettable experience. Where else do you get to see real-time failover in action? Join us again to hear talks from industry experts and community leaders discuss the newest approaches in monitoring and observability. Find out which tools and techniques are in use at some of the largest web architectures in the world. Because you care about the tools that you work with. You're an artisan within your team and you want to improve the monitoring toolkit. Oh, and because you understand that #monitoringlove isn't just a catchy hashtag. You know it! Portland in June is one of the most amazing cities in the world. Besides being a fantastic tech city, Portland, OR has some of the best food, coffee, and culture around. Subscribe here for updates on our next event. We will only use your personal contact details to inform you of new information regarding Monitorama events. Your details will not be used for any other purposes. More specifically, it will not be sold or shared with any third parties. Thank you to everyone who submitted. We had a tremendous response to this call for participation. We'll be reviewing all of the proposals and notifying everyone no later than Feb 25, 2018. If your proposal isn't accepted this time around, we encourage you to try again for our next event. Monitorama takes place June 4-6, 2018 in the Gerding Theater at The Armory in Portland, Oregon. Our program consists of three days of single-track sessions and lightning talks designed to educate and inspire. General Admission tickets are sold out, but you can join our waiting list. We will release additional tickets to the waiting list if and when they become available. Need to cancel? We'll haz a sad but we understand. Contact us by email no later than May 21, 2018 for a full refund or if you'd like to transfer your ticket to someone slightly more attractive and significantly more intelligent than you. Just kidding, you're fabulous -- please don't ever change. Monitorama PDX will be held in the Gerding Theater at The Armory (map), in the Pearl District of Portland, Oregon. 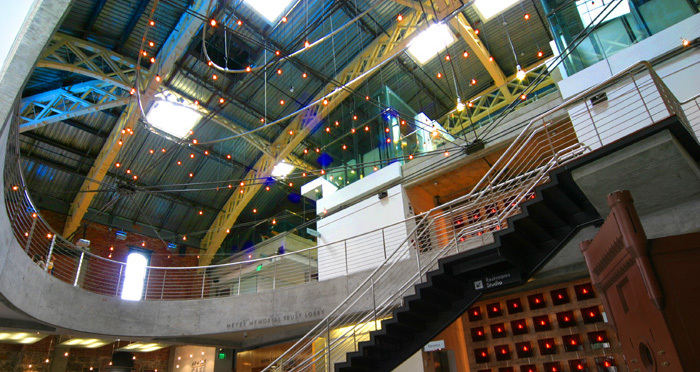 The venue is a beautiful space, and also happens to be one of the greenest buildings in America. It's the first theater in the U.S. and the first building on the National Register of Historic Places to achieve a LEED Platinum rating. The venue address is 128 NW 11th Ave Portland, OR 97209. Let's go for a hike! We'll leave the venue after the closing on Wednesday afternoon and head into the beautiful hills west of downtown. 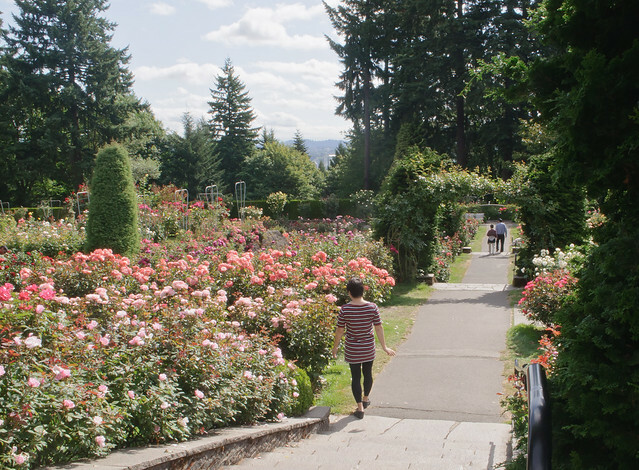 After a short walk through the city, we'll find ourselves in Portland's famous International Rose Test Garden. We'll stroll along trails in the hills, see the sun begin to set on the city, and then head back to the venue by 7:00PM. Plan for 30 minutes (two miles) of city walking to and from the hills and an hour (4-5 miles) of hiking among roses and along gentle hill trails in warm, dry afternoon weather. You can preview the route on Google maps. The Mark Spencer is offering a 15% group discount for Monitorama guests. Click here for group logins. Use the Group ID MNTRAMA and password 2018MONITOR and then book as normal. Please be aware that this discount rate is only good through May 3, 2018. Alternatively, you can call 503-224-3293 and ask for the Monitorama Rate. The Portland Marriott City Center is offering a special group rate of $209 per night for Monitorama guests. Click here to book your room. Please be aware this discount rate is only good through May 4, 2018. Check out the directions provided by The Armory.